Documents were anti-theses to the “established” facts regarding the “communism” of the perpetrators especially Mr Lim Chin Siong. Declassified documents and a revision of our history? 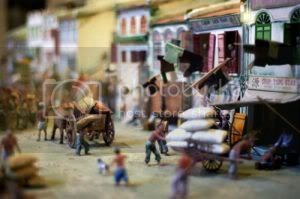 SINGAPORE – I grew up believing that history is a purely factual subject. Every single page of a typical history book to me was facts, facts and more facts. Motivations driving the actions of various historical personalities according to my textbooks are always fixed, and alternative explanations are always incorrect or so, as I naively thought. It was only very much later when I left Junior College before I came to the realization that history is more than just mere facts and specific timelines. There is an additional involvement of human perspectives within the subject too. During my younger days, I have always treated our first generation leaders’ defeat of “communist rebels” as gospel truth. Even the late Dr Albert Winsemius made a remark about communism being a bogeyman to the further economic development of Singapore. Fast forward a few years down the road, I began to realize that the “facts” I was fed through my textbooks and history lessons were merely human perspectives after all. The so-called communist threat came at a time when Singapore was under the British rule. The PAP-led government of Singapore considered the perpetrators a threat to their rule. During that period, communism was synonymous with anti-colonialism. Communist movements in our neighbors have been heavily involved in subverting colonial rule. This made it all the more easy to stick the communist tag on any anti-colonialist. Prior to the arrest of the “communists”, there were communications going on behind the scenes involving Singapore’s government officials and the British. These series of communications were to be recorded down, declassified in the intervening years and opened to the public at the Public Records Office of London. These declassified documents are essential historical records because they provide a context behind the landmarks events that have taken place. And these documents were anti-theses to the “established” facts regarding the “communism” of the perpetrators especially Mr Lim Chin Siong, when there has been no established evidence to link the latter to communism to begin with. Even the records have indicated that Chin Siong wasn’t responsible for the 1956 riots which have led to the latter’s arrest. The availability of these declassified documents has triggered a rethink of Singapore’s history at least in the academic circles. And alternative explanations for the events has emerged. Thus, the question that arises is – will the emergence of these documents trigger a rethink of our history syllabus, which hopefully see students studying their contents, thereby giving them an alternative view of Singapore’s history? Our GCE “O” level history syllabus has a section on Singapore’s history, with a sub-section devoted to expounding on her path to independence (SEAB). Students have to study the pre-1963 events such as the riots and political conflicts, which have taken place. Thus, studying the declassified documents may provide a useful context behind these events. Understandably, our education ministry is responsible for determining the examination syllabus. There is no reason to abstain from including facts highlighted in the declassified documents because they contain records of our past after all! Wouldn’t it be weird if students are exposed to the conventional perspectives, and the examination script markers in United Kingdom may think otherwise because they can easily access these documents at the London office? All the more our students should learn about them even at a young age! And why not? Whilst any historian or history-maker for that matter has His-story to tell, a documentation on our country’s past is the quintessential essence of our history!